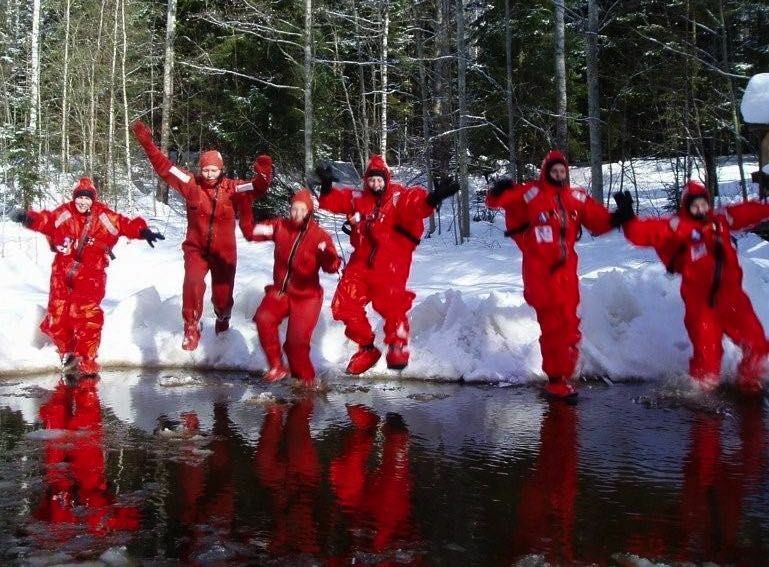 Sea & Mountain Adventures is a full service event provider. Unique meeting places for all kinds of occasions in Noux National Park. 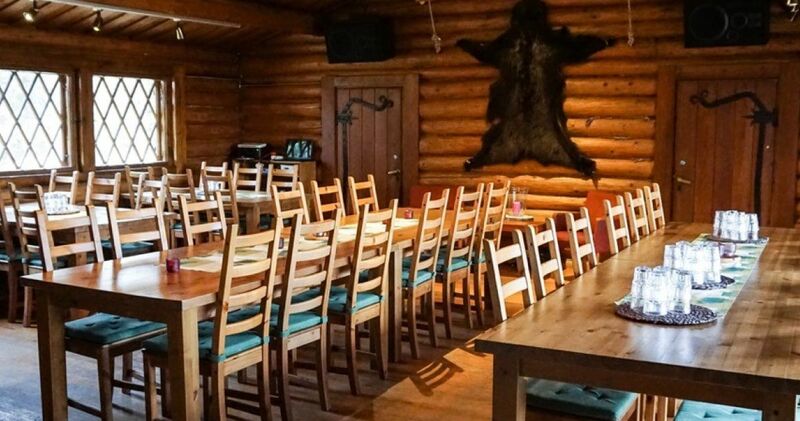 Safari Lodge and Bear's Nest - base camps consist of two unique log cabins, Karhunpesä (the Bear's Nest) and Safaritalo (the Safari lodge) right beside the Noux National Park in the peace of wilderness. 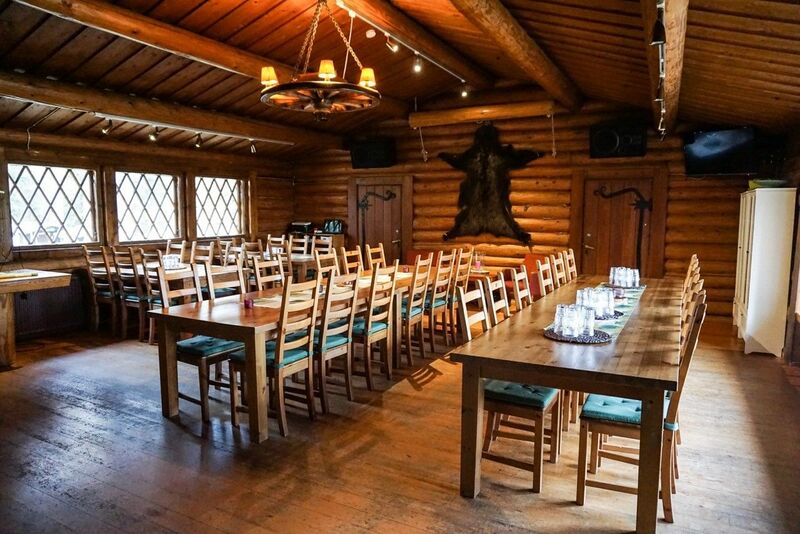 The Safari Lodge (Safaritalo) is a unique log cabin offering meeting facilities for approx. 50 people and for gatherings of approx. 80 persons. Large yard area with it's terraces offers extra room for larger groups (approx. 200 people). There is a place of campfire by a forest pond. 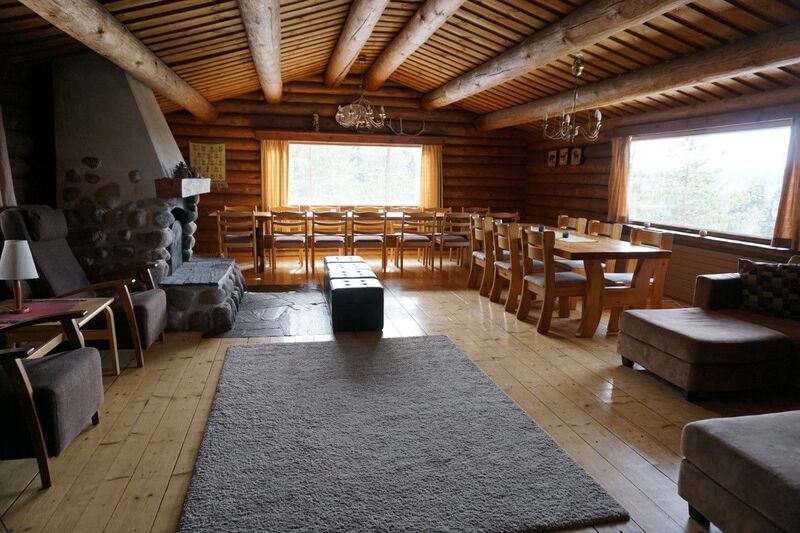 The Bear's Nest (Karhunpesä) is a unique log cabin (200 m2) situated on a high cliff with breathtaking scenery over the Noux National Park. There is an outside terrace for approx. 30 persons and a place of campfire. The Bear's Nest offers inspiring facilities for meetings of approx. 25 persons and for gatherings of approx. 50 persons. Normal AV-equipment is included in the meeting package. Reindeer Park and an atmospheric wilderness style of tepee restaurant "White Reindeer" in the national park of Nuuksio, only 1 km from the Finnish Nature Centre Haltia. 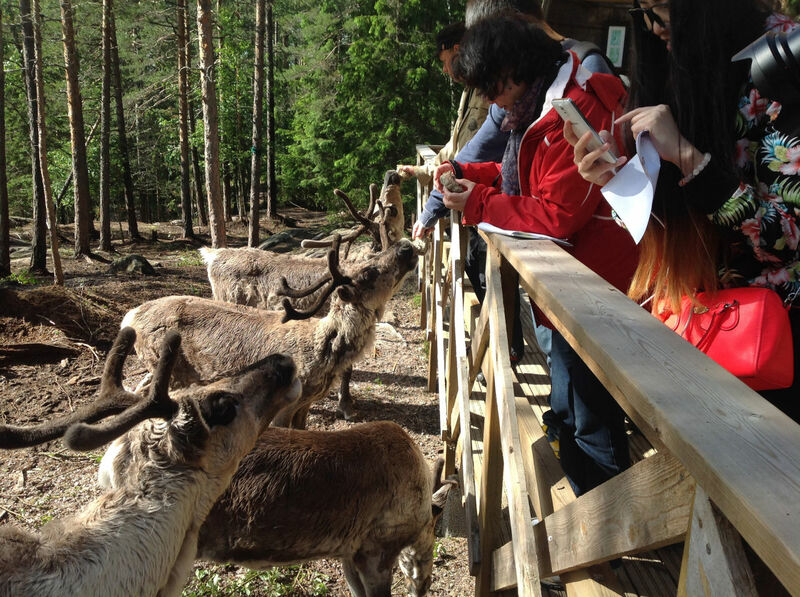 Experience a touch of the Lappish exotic with reindeers in Nuuksio! Enjoy e.g. 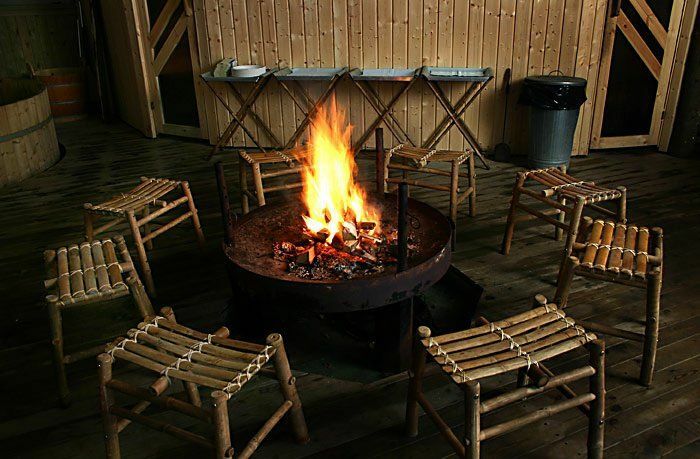 brewed coffee with Lappish cheesebread, grilling sausages on an open fire or delicious glowfried salmon or game dishes on an open fire. 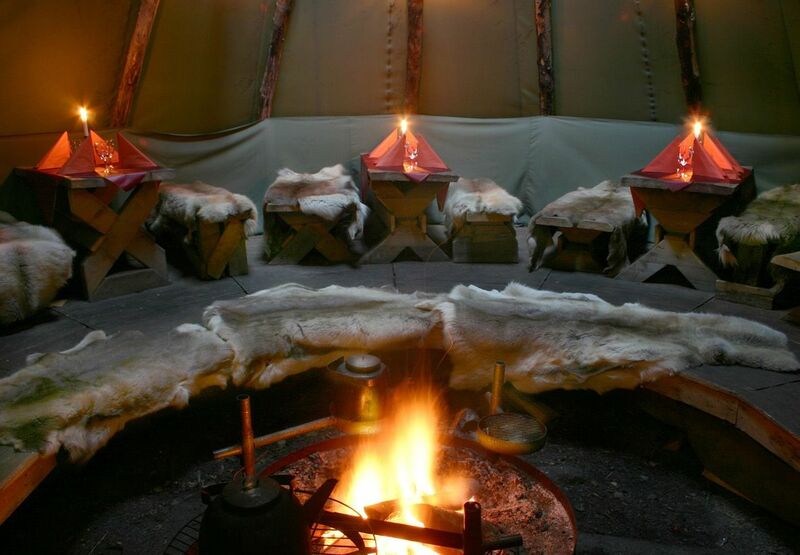 The tepee has a capacity of 35 persons + outdoor terrace from where you can admire the reindeers at close range. 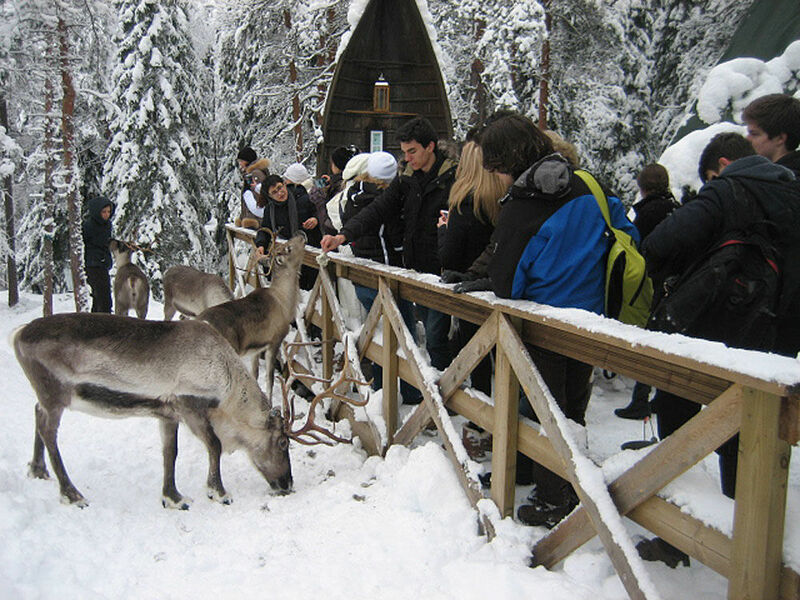 We offer nature program services to an additional request such as: Reindeer photography, feeding reindeers, lead a reindeer/sleigh ride; lasso a wooden reindeer; guided nature trail from the Finnish Nature Centre Haltia to lappish tepee (about 2 km) either on foot, skis, snowshoes or kicksleds; transport by minibusses to/from Haltia. 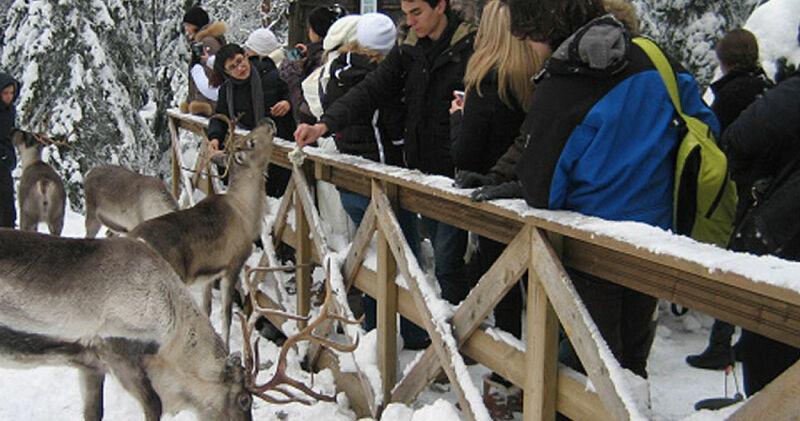 "White Reindeer" is fully licenced and it is open for groups on reservation basis. Nature program services to an additional request. 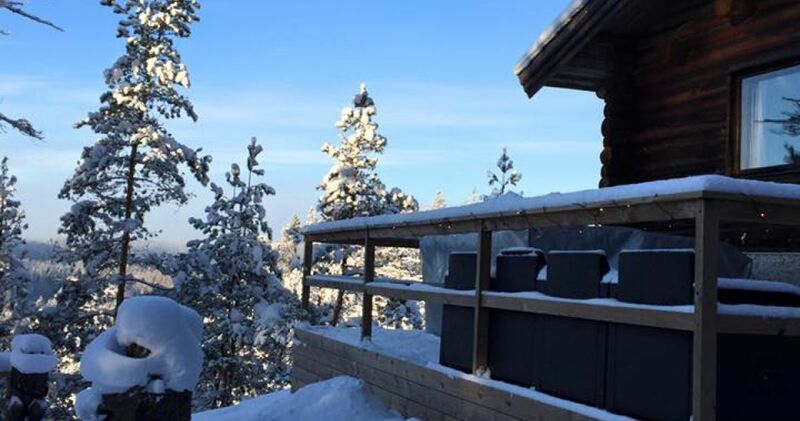 Sea & Mountain Adventures is a full service event provider, offering Backwoods-style accommodation in the Nuuksio National Park. 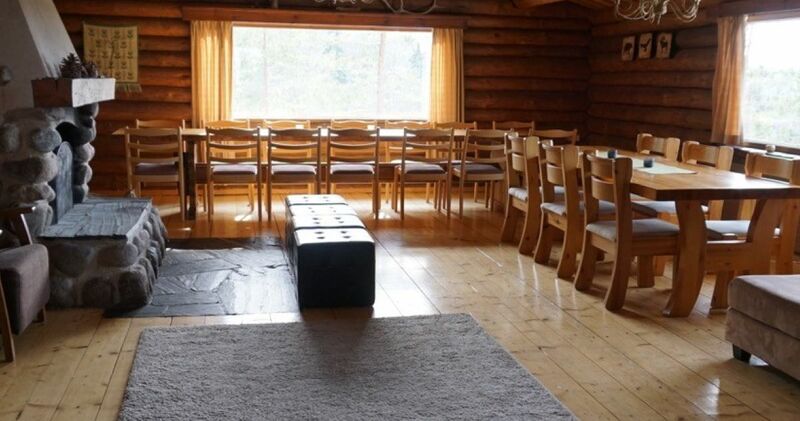 The Bear's Nest (Karhunpesä) Accommodation in three bedrooms with bunk beds and up on a spacious attic altogether for 18-20 persons. 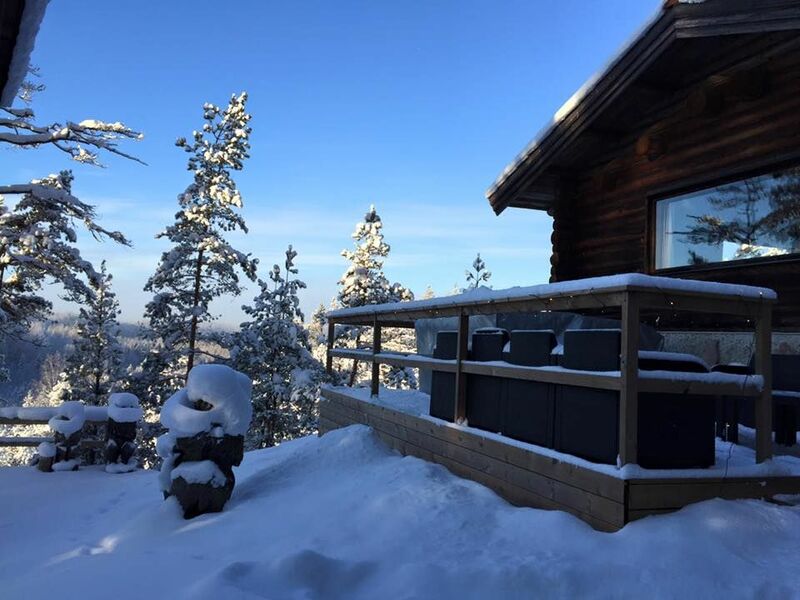 There is a wood-heated sauna for eight persons at a time and an exotic cool-off outside in a cold water bath tub (1500 litre) during the summer time. "Safari Cabins" Accommodation in seven small four-person "safari cottage" with bunk beds. There is electric heating in the cabins. Toilet, bath and shower are in the main house. Inipi spa is an exotic sauna/bath in a large tepee at the Safari lodge, by a forest pond. 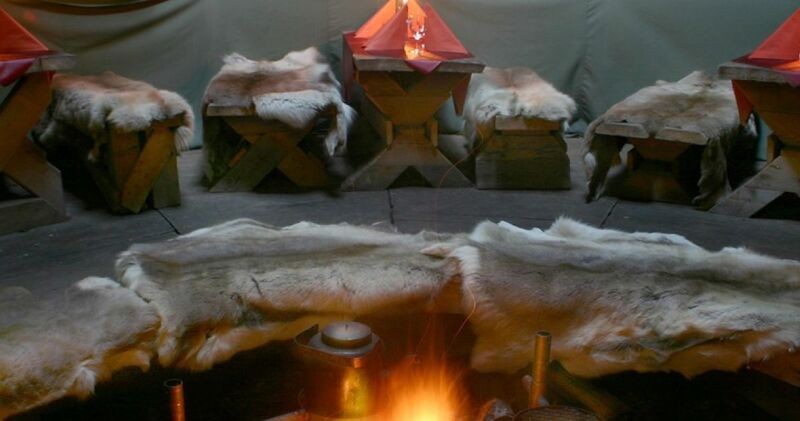 Bathing in a steamy, wood-heated sauna and in herbal hot water tubs inside the tepee is an unforgettable experience. 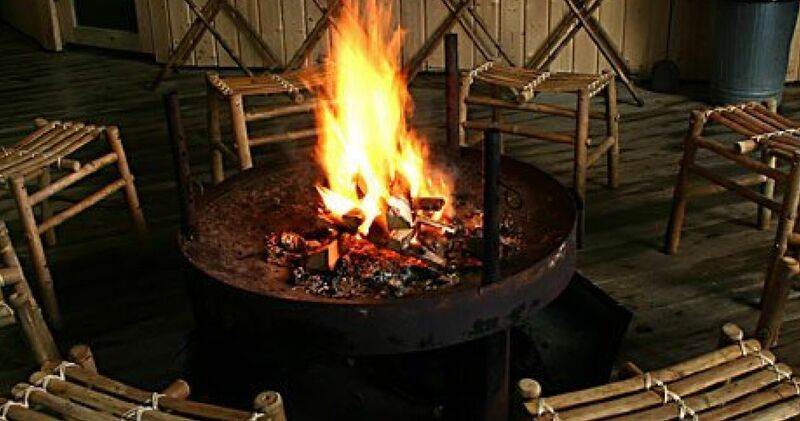 Open fire burning in the center of the tepee adds to the wonderful atmosphere. 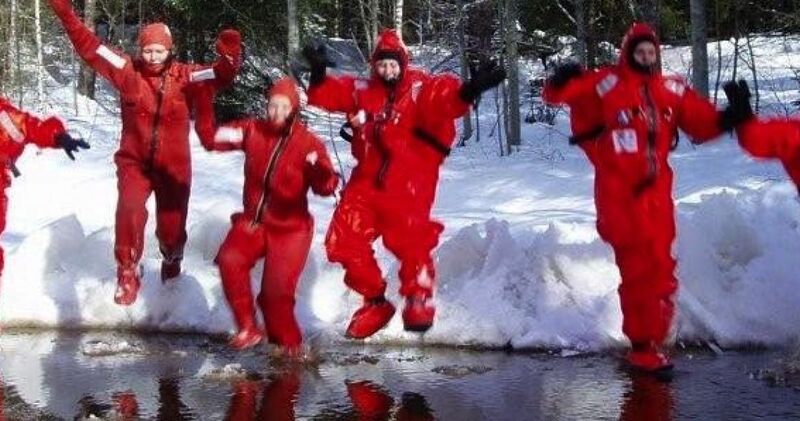 A dip into the refreshing pond water or icy water in the wintertime will make you feel rejuvenated and energized and ready for new challenges. Inipi Spa is fully licenced. Sauna facilities take about 15-20 bathers at a time. Please bring your own swimwear, towels are included. Enjoy delicious BBQ dinner at Safarihouse log cottage and outdoor terraces after bathing. Meals are prepared on the spot. The Safarihouse and sauna facilities are fully licenced. Traditional courtyard games available e.g. mölkky and darts. Guided summer activity programs by an order. Small traditional sauna for approx. five persons at a time situates right beside the "Inipi Spa". There are two showers and a dressing room for ten persons. Swimming possibility in a forest pond. 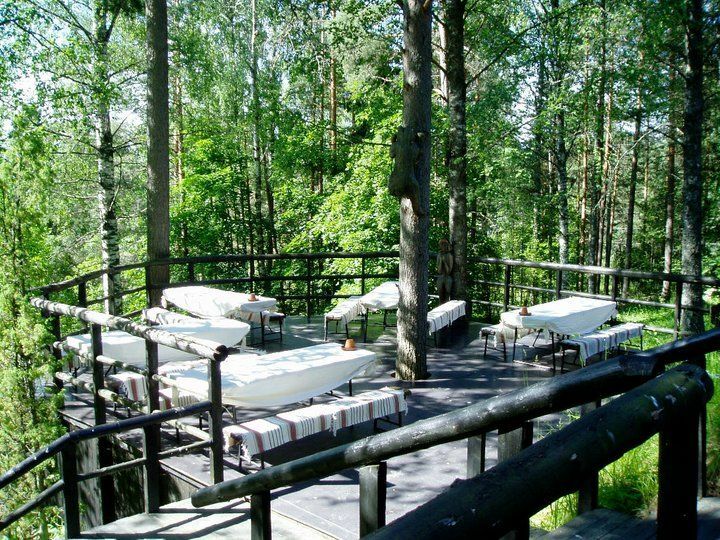 At Karhunpesä, "the Bear's Nest", a mildly steamed wood-heated sauna for 8 persons, shower and wc. 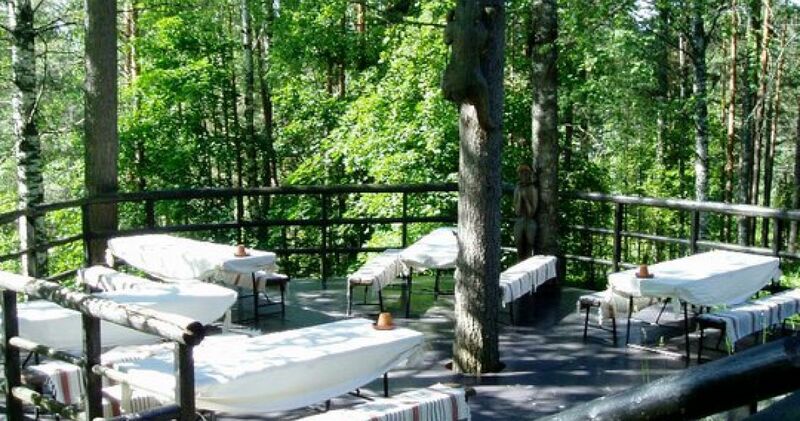 A full-service safari house in Nuuksio National Park. Adventure conferences, accommodation in a log cabin in the wilds or safari cottages. Fully licensed restaurant, exotic tepee spa by a forest lake. 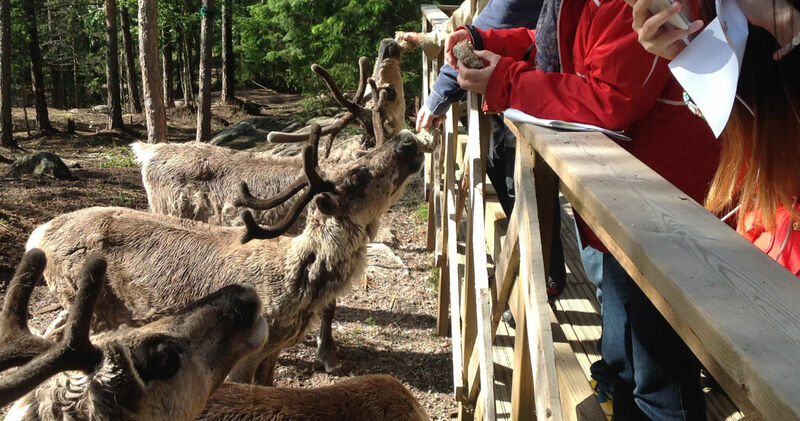 Large selection of activities in Espoo, southern Finland. 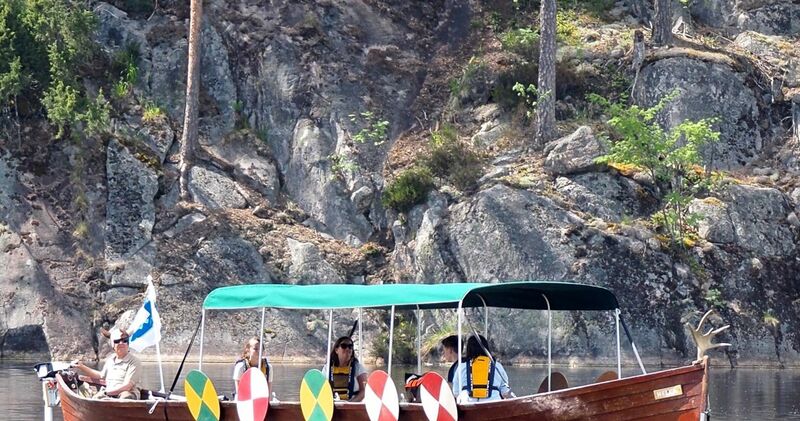 New: Adventure programmes in Nuuksio National Park. Meeting facilities and saunas. 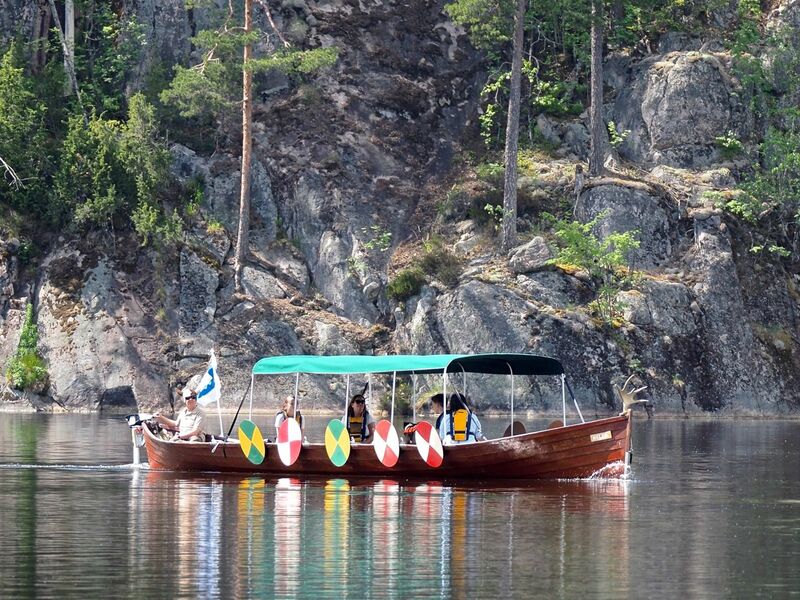 Cruises in the archipelago of southern Finland. Member of IAF.